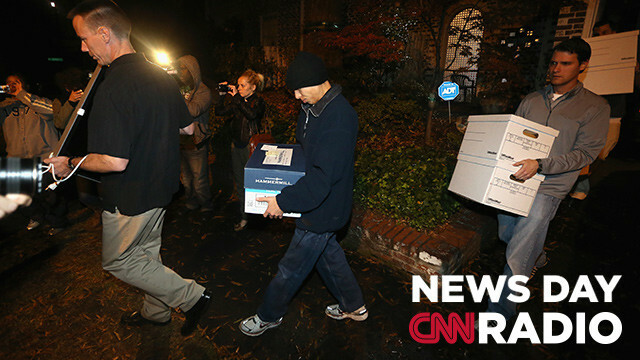 FBI agents carry out boxes after a search of the home of Paula Broadwell on November 13, 2012 in the Dilworth neighborhood of Charlotte, North Carolina. "General John Allen was stationed in Tampa when he was at U.S. Central Command. So was General David Petraeus. Jill Kelly worked as a sort of social liaison for a lot of the commanders there." "...this meeting that's just happened in Doha, in Qatar became really important because that brought together all sorts of factions within the Syrian opposition, including the Syrian National Council." "I think the bolder assertion of tenth Amendment right is to tell the Fed to 'shove it' and not do it. " EVERY hINDU, FILTHY IS INVITED TO FEAST ON THEIR COW MAMAS DUNG AND GET HIGH ON THEIR COW MAMA'S URINE FREE OF CHARGE ALONG WITH hINDU FILTHY CROW'S.Word hindu is based on Latin word hindered, negative, Hun, great, Han, to be in greatness, hin, negative to both of them. hindu, a noun in negativity, hinduism, way of negativity To learn about hinduism, criminality of hindu's, criminals, please visit limitisthetruth.com. hindus, ignorant s, please bring your own glass and spoon to feast.